I’ve been photographing Barbara, Greg and Alice since Alice was a few months old. It’s so rewarding to see my clients become friends and watch the little ones grow. I like that Alice has positive associations of coming to visit me and my studio and getting her annual portrait taken. 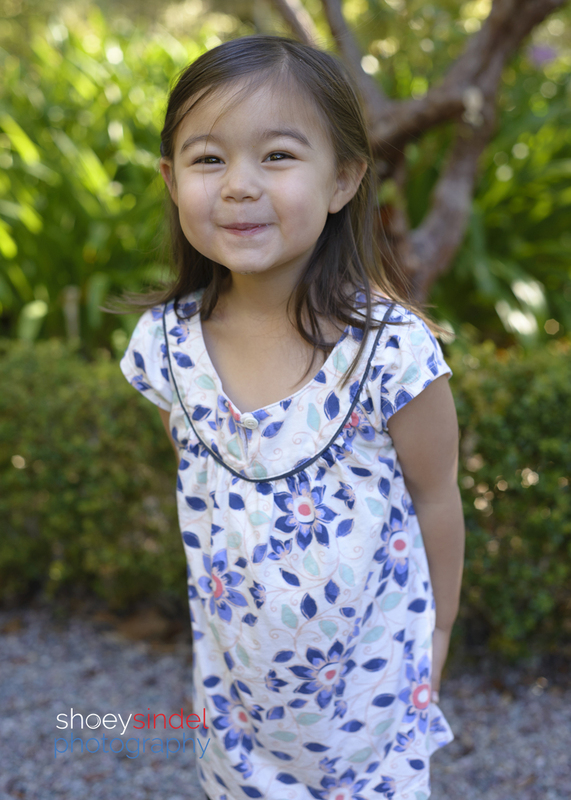 It makes me feel like a member of their family (like a auntie) and a I love that I contribute to their family history as Alice grows and changes. I have Multi-year Family Portrait Session Plans to help families remember to schedule a regular session so they document the changes in their family over time. You know how fast kids grow and change. 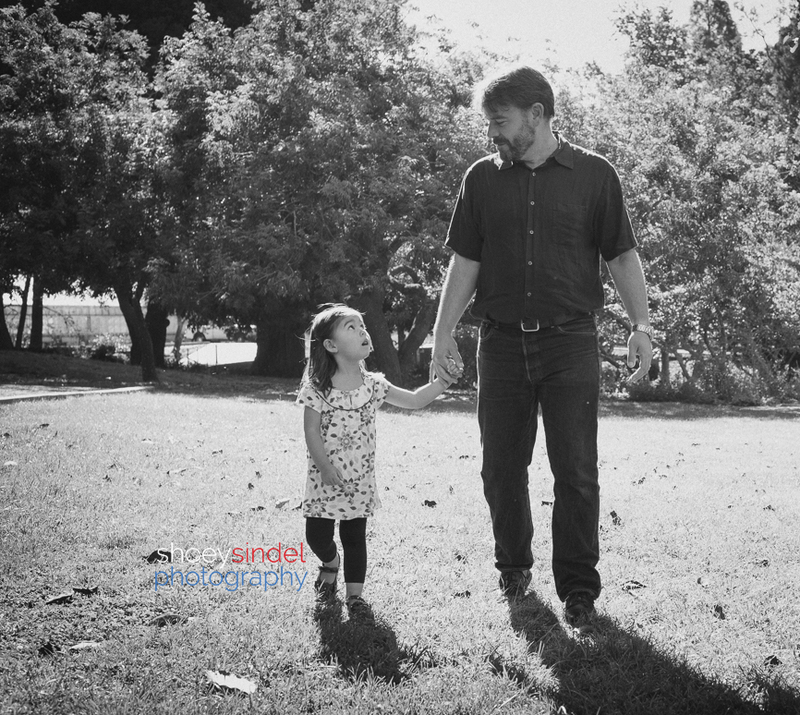 I’m making it easy for families to get the photos they want. One plan is 5 Annual Sessions and the other is 3 Sessions in 5 Years. Prepaying for the sessions not only saves money, as you’re purchasing them at today’s prices, but it also encourages you to get the photos you want but might otherwise be too busy to plan for. 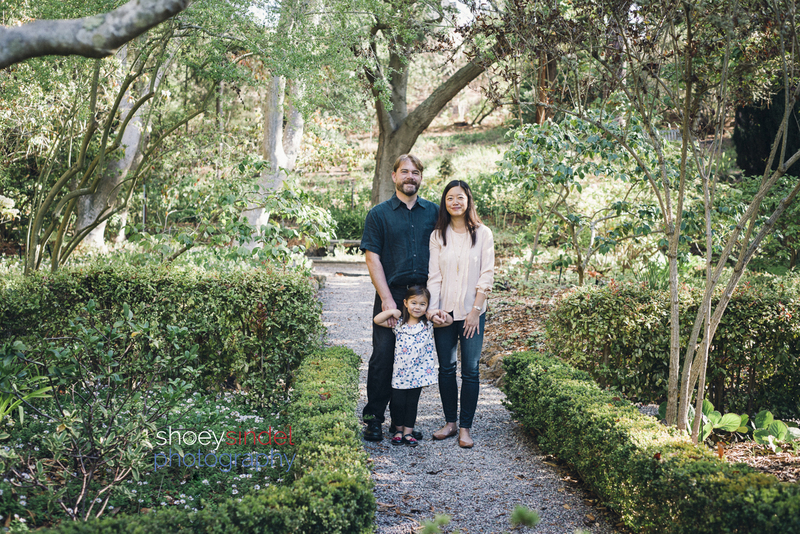 This year, Alice and family and I went to Blake Gardens in Kensington to take family portraits for their holiday cards and for family gifts. 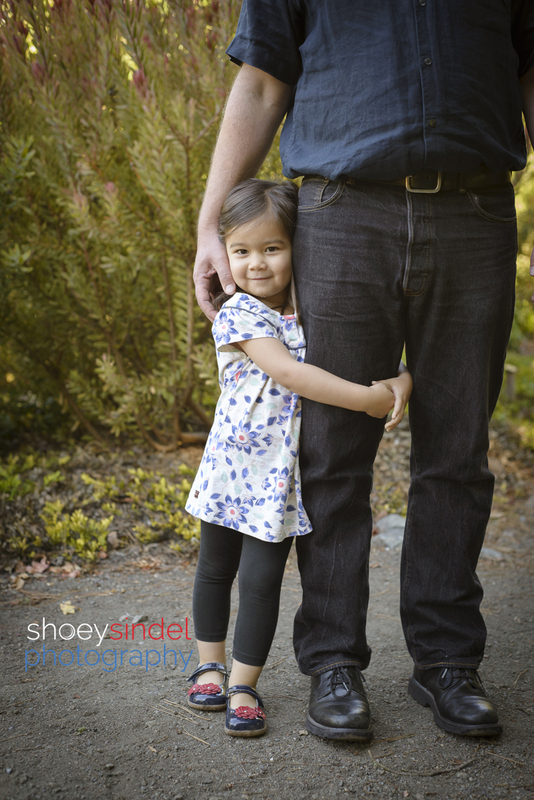 Alice is of the age where she’s willing to sit for her own photos, hug dad on command and goof around with me. We got a great variety of shots that made a gorgeous photo album for the family, gift prints for the grandparents as well as really nice holiday cards. I’m pretty certain their cards will end up posted on many refrigerators this year unlike others’ Walmart-printed cards that sit in a pile with the other blurry selfie photo cards. Blake Gardens can be a beautiful but tricky place to photograph because there’s often a lot of harsh contrasty background light. Luckily, I have the skill to find locations within the garden with great light and use both natural light and flash to make the images come alive the way I envisioned. It’s also helpful that Alice was at the age where she would stay in a particular area so I could get the shot. So, thanks Alice; you made it easy. It’s so sweet how much Alice loves her Daddy. and Mommy too. 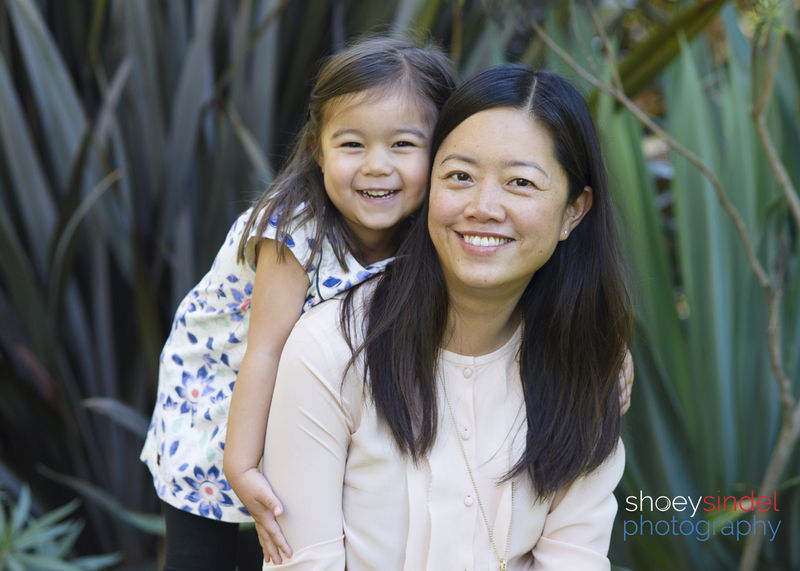 To hire Shoey to photograph YOUR family, please call at 510-917-0659, email at photos@shoeysindel.com or go to http://www.shoeysindel.com/contact/ to schedule your session.